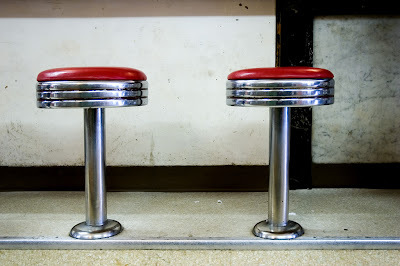 This is a picture I took of two stools in Taylor's Soda Fountain in Independence, Oregon. There's very little point in taking photos like this. They're not the kind of thing you send to your Mum or e-mail your mates. Showing them to people demands a reaction. It makes sense to send your Mum a picture of you at the Grand Canyon, say, in a way that sending her a photo of two stools in a diner just doesn't. This is a picture I took of a remote gas station in Echo, Utah. Again it's not the kind of thing I'd ever send to anyone but it does bring back a lot of memories. I took a lot of photos on that trip and although I flick through them from time to time they don't serve any great purpose. Which makes it satisfying when someone sends me a copy of this ad for the Monday DVD release. It'll probably be appearing in a Sunday paper near you. Suddenly my click-happy photo habit doesn't seem quite so lacking in purpose. Well, I can pretend. I've been quite bowled over by the reaction to the film. It hasn't been purely positive but then nothing ever is. But the majority of reviews have been kind and the viewing figures were so above and beyond our expectations as to be frankly ridiculous. Somehow we managed to get more than six times the channel's average figures for the slot. Which is just silly. I hope some of those people come back to the channel in the coming weeks to watch other documentaries in the series. There are definitely films there that will reward the effort. 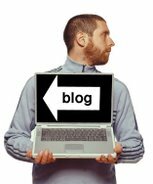 Nice one Dave, since subscribing to your blog I've been impressed with your photography as much as I have been with your words. Speaking of the DVD, do you know if a Region 1 (i.e. US) version will be available? I have several American friends that are interested in seeing it. I don't know of any plans for a Region 1 release. That doesn't mean that it won't happen - but I'd be surprised if it did any time soon. There are sites I probably shouldn't mention (like dvdexploder for instance) that tell you how to convert players to multi-region - no screw driver required. There is a point to taking photos like these, Dave. They provide enjoyment for people like me browsing your flickr photostream. Brilliant film, and for me, inspirational. It's a dream of mine to drive across America visiting small remote towns, two-lane highways and national parks. Me and my brother plan to do it one day. I'll purchase the DVD and watch it if I ever need inspiration. Are there any extras on the DVD? Just been watching channel 4 and noticed that they seem to be using the Channel 4 Advert a lot since your jouney Dave. The one with the American Diner, Gas station and Motel (and the tumble weed) It's either sheer co-incidence or you have a very subtle advertising team on your hands. I personally love the stools photo. I'm often getting grief from the wife for taking what I consider to be the more interesting shots. Although you say that showing it to someone demands a reaction and therefore as it's not the norm (Picture of "x" smiling in front of famous building/landmark)not making sense, I would say that a reaction such as bewilderment is a bigger reaction than that of acceptance. Your mum expected a photo of Dave in front of said building/landmark, but did she really see the stools coming? It's a talking point for your next visit for sure. By the way, I have an Archos (MP3 player) and would love to download the dvd. Is there anywhere I can do this legally and so as to make sure you get your �0.76p cheque? I'd like it for when I go travelling in March. I'm sure some of the best/most interesting photos are taken 'by accident'. And having been keeping an eye on your flickr stream for a while, I know you have a cracking good eye! As I was watching the film I thought "I bet he got some really good photos on that trip". 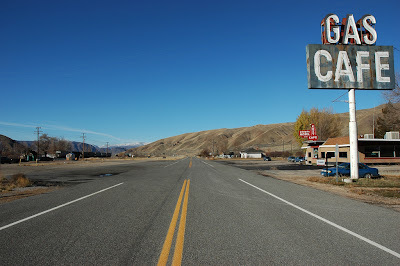 Some of the places you ended up at were just stunning, both the scenery and the man made places - especially that gas station that used to be a ranch. Another thought I had when you were at Taylors was "my god, look at all that Coca Cola stuff, I wonder what will happen to all that", the Coca Cola collector in me is hard to contain sometimes. There's always a point to taking a picture - just think that no-one will ever have the same picture of the same place at the same time. It's always nice to create something unique. The second one, I like it, but I dunno... I'd wanna go back and stand more on the left side of the road. But that's just me. The diner stools are great. I really came by to comment on your YouTube clip of you following your horoscope. Hilarious! Great sense of humor. I'll have to find those books. We thought that your film was just brilliant Dave - we want to follow in your tire[sic]-tracks and do the same thing! We'd pick a car with a better MPG though. Love the photography too - you have a great eye for a shot, and this carries over into your film-making. Oh well - well done! None of my books have been hardback - apart from the American edition of Googlewhack Adventure. 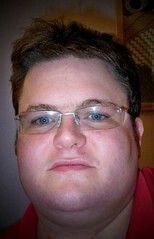 Your photo's are fab. I love seeing your work on flickr. I think the real point of taking the pictures though is not so much the end result but the way that taking them makes you look at the world around you, if that makes sense. I got my first ever photo published this week in a local paper and it is a fab feeling! I loved the documentary and have been badgering everyone i know who didn't watch it to look out for a repeat showing or to buy the DVD...don't think i've ever watched More4 before - can't understand why it wasn't on the main Channel 4 though...Me & my (not-so) little brother often talk about driving across the US in an old banger, any tips...? Just watched America Unchained, (incidently isn't Sky+ just a fabulous piece of technology? ), and I thoroughly enjoyed sharing your experience. I was impressed, no not impressed, encourged by the good nature of the people you met but I suspect that is partly to do with your friendly outgoing nature. Hope the original director is mended. They (and the rest in the set) are all great shots, Dave. I have a similar eye for random details in my photography as well, and I can really relate to this post. I think it's important to document the little things like the stools etc that you on the journey - It makes the memories more personal. I just finished watching the DVD of America Unchained as well, and I throughly enjoyed it. I'm off to America later in the year, and will be visiting the Moab/Utah regions - I'm certainly looking forward to seeing some of the sites from the film! There's some incredibly epic landscapes there! Thanks for another great DVD. 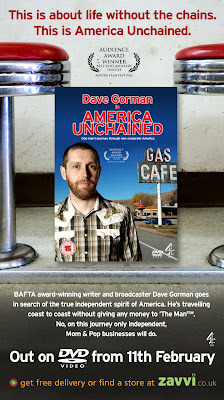 I've just watched my Sky+ recording of America Unchained and I wanted to thank you for a wonderful film. The genuine affection you had for the 'mom & pops' you visited came over so strongly. It would have been so easy to do a cynical 'look at these funny weirdo Americans' piece but I think we got so much more due to your approach. I'll be plugging it to my American friends. We sold it. Actually we left it in the care of a Florida based friend who then sold it on our behalf because we weren't going to get a fair price for it otherwise. Hi Dave, I don't suppose you will remember me, but I was the "internet sock retailer" on What's My Line (you scuppered my chances of winning one of those custom made certificates). I only caught up with your American road trip documentary last week and I was blown away. Firstly because that is exactly what I should have and wanted to do thirty years ago. Well done for going and doing it. I know you wanted to keep the Torino, heavens knows why you didn't build it into your show's budget and have it shipped. In those days and before, cars weren't cars, they were architecture. Watched the show over the weekend (on More 4, I think). Really enjoyed it. The only thing we thought was that, well, a lot of the things you buy from the independents are going to be sold to them by 'the man' - though seeing as this felt less like an 'anti' 'the man' thing and more of a pro 'mom & pop' thing we thought that didn't matter. Great show though, look forward to getting the book.